There are many things on TV and in movies that aren’t realistic, and I’m ok with this. Super hot girls marrying the schlupy guy, talking animals, 20 somethings playing 15 year olds. The list goes on. However, there is one problem that has yet to be solved that makes my blood boil every time I see it. Old. Babies. Old babies you say?! What kind of Monster am I? Hear me out. So many times when a baby is revealed on screen, the baby is dramatically older than the age it is supposed to be playing. 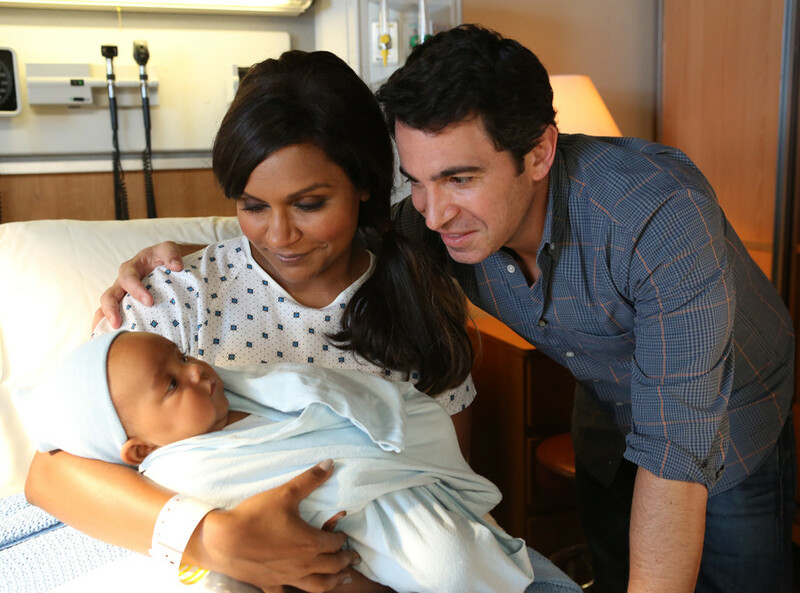 Example – Mindy Lahiri welcomes her baby into the world on this season of The Mindy Project, and our first glimpse at him is meant to be right after delivery while they are deciding on his name. We expect to see a teeny little bundle of joy experiencing life’s first breaths, but instead we get a 6 month old. What?!? Now don’t get me wrong, I don’t expect a new mother to bust it out of the hospital, run straight to a talent agent, take headshots and get that little peanut on the 9-5, but why does Hollywood keep trying to play us for fools?! I’m also curious to understand how a 6 month old gets a job, but that’s neither here nor there right now. What I’d like to propose is the following. 1) Fake babies. The working world is rough! Give the babies a break and do the audience a favour. We don’t expect the baby to be real, a fake new looking baby is less jarring than a real, old baby. 2) No baby at all. Swaddle up a log, a pillow, a bag of hammers. Whatever, swaddle it up and don’t shoot any scenes showing its “face”. 3) Time Lapse. Cut from the birthing room to 6 months later. Voila! Old baby is now age appropriate baby! 4) Use puppies. People will be genuinely confused and assume this was some edit gone wrong. Just roll with it. So please casting agents everywhere. Hear my plea. Give us swaddled rocks, look aheads, bundled up baby elephants, but please stop trying to make old babies new again. You’re not fooling anyone.